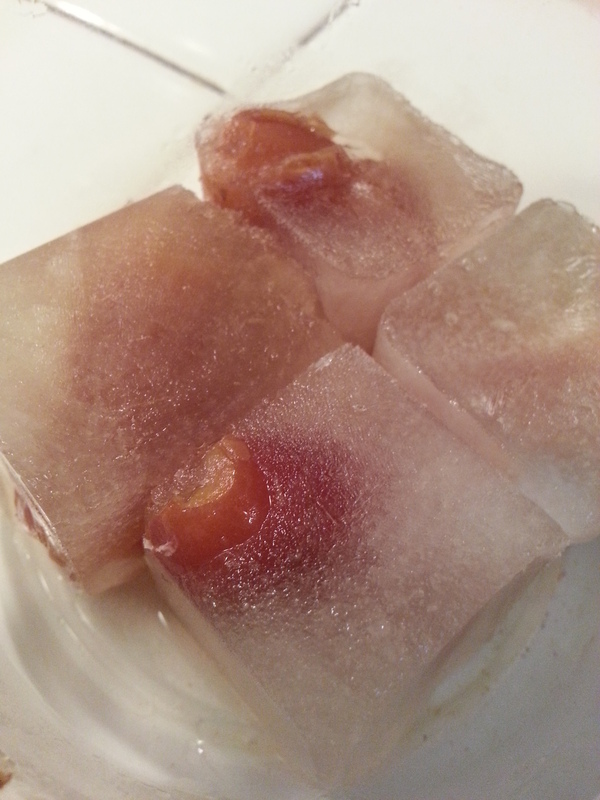 -2 cups soft pitted dates(I like caramelly kinds.. but go for Medjool if it’s easiest! Use food processor to pulse walnuts and oats until finely chopped–like coarse sand. Set aside in larger bowl. Add dates, melted coconut oil, sea salt and process on high until a smooth paste forms. Let it get super sticky and dense. Line an 8×8 or smaller springform with parchment paper. (The smaller the pan, the thicker the brownie!) Press the brownie layer firmly into the loaf pan..use gloved hands. Chill while you make the ganache. Add the coconut creamed part of your millk and mint extracts to the bowl. Heat until the mixture is steamy hot…not rolling at a boil. Add the chocolate chips and whisk to mix thoroughly. Pour the mixture over the brownie layer and chill in the freezer. Chill for 30 minutes and top with crushed candy canes-press into the top ganache with your gloved hands gently. Chill for another 45 minutes minutes and then cut into mini squares. Store in freezer. Allow 3o minutes in fridge before serving…and at room temperature, the nice chilled minty flavor will last about 2 hours before your should put in fridge again. This fantastic recipe is adapted from ilovevegan.com … Thank you! So, full disclosure. This is a recipe that came from a mistake I knew I was making in the moment, but it is still beautiful to serve and tasty!!! So I’m humbly offer you my learn-from-my-goof goodie and the adjusted recipe. Basically, I used too many dates (1.5 cups) because I was excited I got so many from the farmers market. Thus, it became a date (fruit and nut) cake instead of the pie I intended. All this to say, that’s why I am adjusting the ingredients to only have no more than 1/2 cup of date paste involved and more maple syrup. Sometimes, I get overzealous about cutting out the sweeteners and subbing whole foods instead, but it doesn’t always work as well as I want! Note to self: less dates (in this case)! 1/4 cup fair-trade molasses (of if the rich flavor of molasses is not your thing, just use 1/4 cup coconut palm sugar, especially, if you want to skip the cacao twist altogether.) Here’s why I like molasses . 1- Heat oven to 350 degrees and spread coconut oil on sides of your 8-9″ springform pan after placing parchment paper on bottom. 2- Combine all of the ingredients for the crust and press into bottom of pan. Bake 10 minutes. 3- In a stovetop bowl, mix all the filling ingredients (molasses, maple syrup, date paste,) bring to boil and let sit for minutes. 4- Whisk in eggs, ghee or coconut oil, arrowroot starch, vanilla paste, and dashes of spices. Mix in pecans. 5- Pour into crust and bake for 45 minutes. Depending on how much date you used (1/3-1/2 up), you may need more baking time. Check check with toothpick on how set it is while not over baking so that it’s too dry. 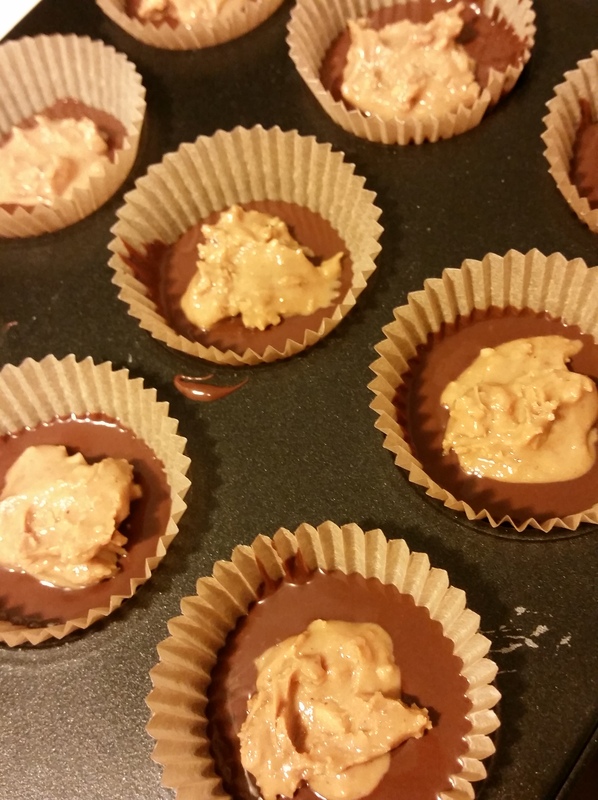 6- After popping out of oven, place stevia sweetened chocolate chips in pattern you want your unbroken dates to make. The chips will melt enough to be like glue to hold the pecans. Decorate as you wish! 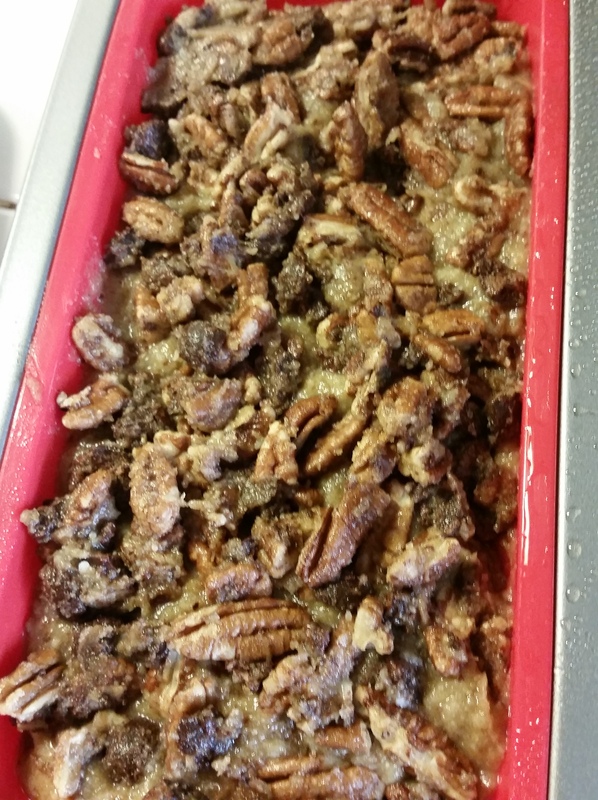 I like using soaked and dehydrated pecans for this so up the nutritional value as much as possible. Looks like a cake because I originally used too much date paste! 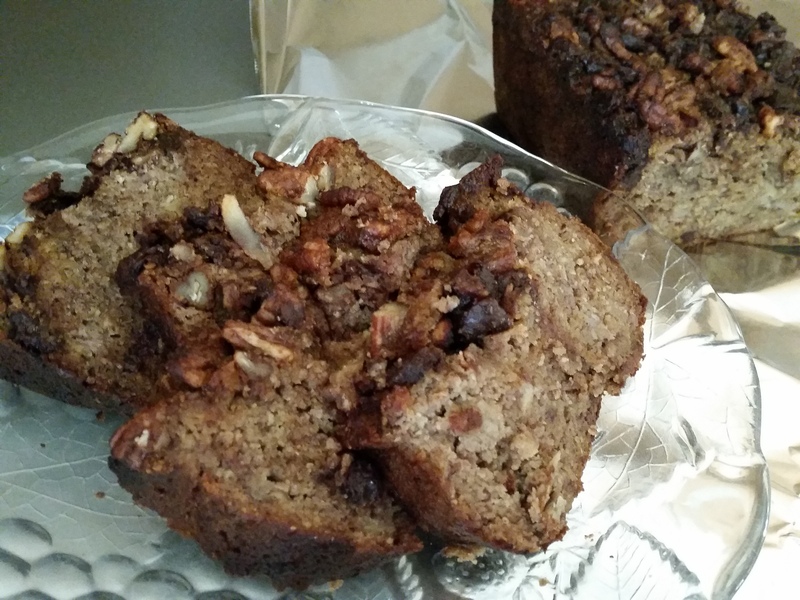 When you bake to give, you bake and get… really YUMMY, HEALTHY TREATS!!! This was prompted by my dear mom’s birthday. She enjoys chocolate, but I don’t want to give refined sugars to those I love if I can help it. The constant challenge? … reinvent standard, sweet-tooth comforts with good-for-you options that taste great! Happy to be sharing this 1st time successful baking run of these Gluten-Free, Paleo, Nut-free, Soy-Free Brownies. These are light in texture, but become dense and chewy as they feel like they are melting in your mouth. These have no added refined sugars, especially if you omit the optional stevia-sweetened chocolate chips used in the topping-layer baked in. DO NOT TRY THESE IF YOU NEED A SUGAR HIGH– you won’t get such a high except for the good for you happies from whole food sourced ingredients. Then, again, there is that cacao that can lift your mood, though. Preheat oven to 365 °F . Line springform pan with parchment paper and grease sides with coconut oil. Cook for 30 minutes. Cool for 10 minutes, undo springform, cut into nice pieces. Add other toppings as you wish! This would be fantastic with raw banana ice cream or coconut ice cream. Regardless of whether you use carob, cacao, or dutch chocolate, ENJOY ENJOY ENJOY! For topping, use ½ cup of moistened date paste with vanilla paste and coconut oil, add 1 teaspoon each of cinnamon and mesquite and mix in stevia chocolate chips… layer on top of batter…. follow ingredients above and bake! Last, but definitely not least… version with CAROB! 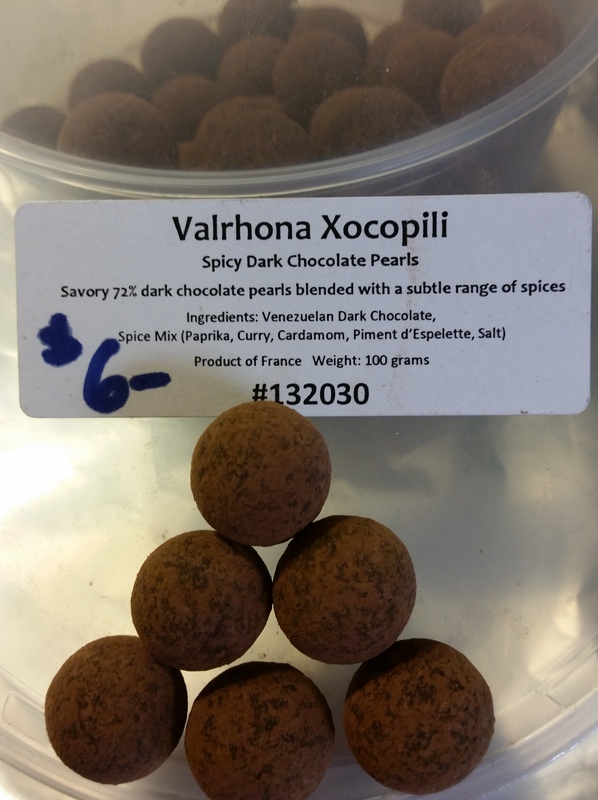 … for someone dear with gallbladder concerns and was told she needs to avoid chocolate. 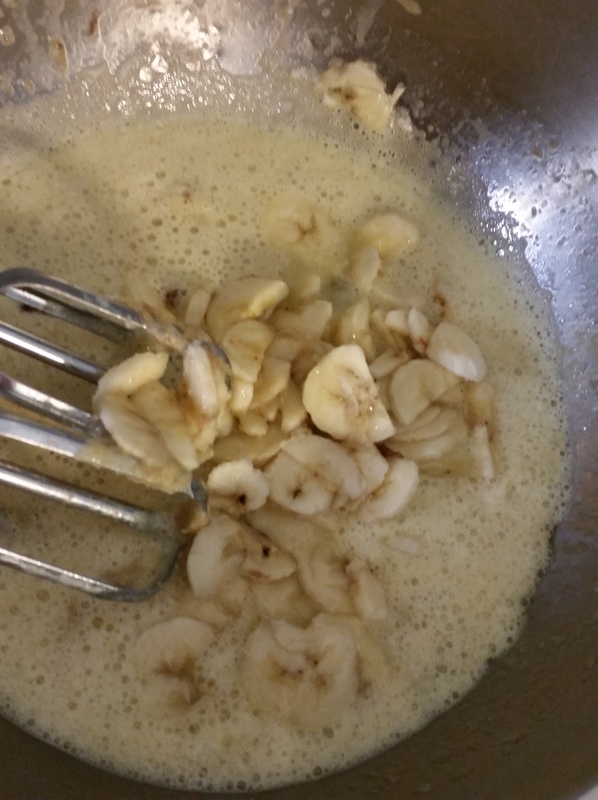 Keep recipe the same as first version, add 1/4 cup of Monkfruit granules to batter. For topping to mix in just at top–soak 1/3 cup of raw Indonesian cashews, 5 medjool dates and roughly blend. Add thawed, mashed cherries…mix into top of batter and bake! Just make sure the carob is raw and fresh! You will bake for 40 minutes, then cover the top to prevent the crumbley choco-pecan covering from burning with some foil. Put back into over let bake another 12 minutes. All done when a chopstick inserted into loaf comes out clean. 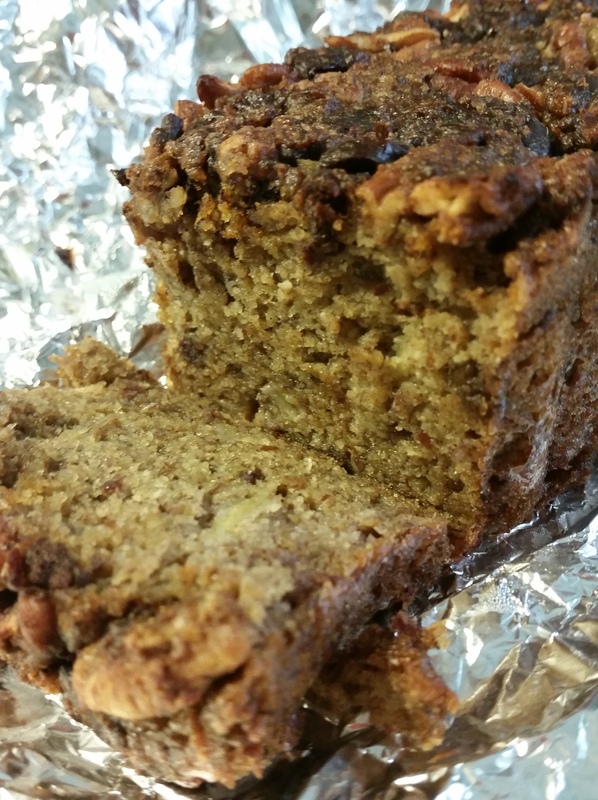 I had enough batter to make a small mini loaf of this… for me…HEE HEE!!! BTW– you can opt not to do the pecan and chocolate topping, but it made it so rich in look and flavor that I would recommend you add the flourish! …and I do love using a silicone loaf pan… avoid metal toxicity whenever possible (Aluminum in our systems is just bad news for our brain and studies have shown some links to Alzheimer’s Disease. THIS IS THE SWEET STORY OF HOW TO MAKE A WINNING TREAT FOR JUST ABOUT ANYBODY! Lots of variation in this one… take my suggestions and run with your ideas! The fundamental steps are the same, so this is what I like to call YUM-FUN! So, about once a year.. when my husband has his annual rum and cigar birthdate outing with pals, I get inspired to concoct a one-bite dessert pairing that represents us as a couple… (i.e. what would we be if we were a pair of desserts?) I know. I’m weird. Nevertheless, I am happy with the outcome. Call me super strange, but having both one-bites’ flavors mix on my palate really hit me with a deep, sensory and arguably spiritual revelation! 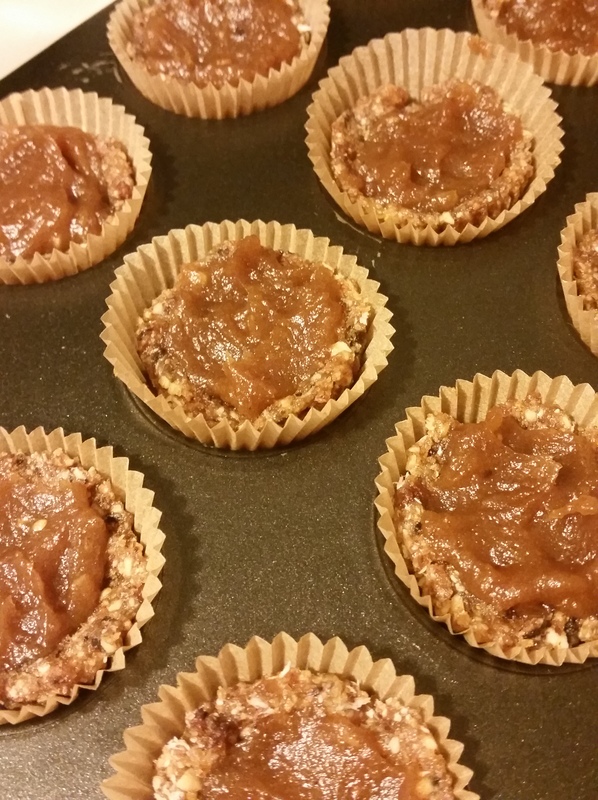 a Raw “Caramel” Almond, Date, and Fig Cup Crowned with Coconut. Through this pairing, I have tasted what it is like to appreciate individual merits, but have a melding union be even more deliciously delightful than just one offering alone! And is that not the mysterious, glorious one-ness a marriage is idealized to be? Ah, the beauty of food and the enlightenment possible therein… Try this. Seriously. A brief explanation: Jon enjoys rum, peanut butter, and raspberries…and I like everything in both items but prefer a healthier version of all treats. ta-DA! “Caramel” middle : Halawi dates soaked in just enough water to soften, vanilla bean extract, cinnamon dash and sea salt. Carob topping: melted Tablespoon of coconut oil, another couple Tablespoons of coconut manna, 1/4 cup of raw carob powder, 1 Tablespoon of yacon powder (or syrup would be better). mesquite is also a great option. Food process almonds until broken into large crumbles, not into a paste, add the dates and figs… and coconut shreds until it sticks together to mold into the bottom or your cup liners and muffin molds. Your thumbs will be great to hollow out the middle in which you will put a dollop of the date paste “caramel” mixture. You can use paper cups if you are gifting them! To make the “caramel,” just food process all the listed ingredients until smooth. Put this smooth paste in the cup. Finally, melt the coconut oil and manna in a double boiler and whisk in carob powder and yacon–use maple syrup if you want a bit more sweet. Drizzle over “caramel” dollop and smooth in down to be in line with the top of the crust. Finally, cover the liquidy parts of the toppings with enough coconut shreds to cover. Chill to set in fridge. Enjoy!!!! …more work, but definitely less guilt involved since there’s nothing refined in the way of sweeteners in this option! Option using silicone cups…great to at home party purposes! This is messy yum-fun! One more major bonus for the raw cup dessert (the one I am describing WITHOUT chocolate… my doggie Rocky the Rescue can have a smidge, too!!! wahoo… and he enjoyed a few bits of a one-bite. 🙂 Truly guilt-free me! So, this was a foodie’s way of helping you get to know me and my hubby as a pair… You can choose one or the other, but the magic of this pairing is that having both together makes the flavors even better!!! Truly!!! I am super blessed at how this worked out!!! The pink are silicone cups. Makes this to easy! so… one point of great success from my juicing month is my lowered need for sweetness in what I eat and drink. I have not used my typical to-go stevia and agave options in anything I made for myself since breaking my fast! But I do allow myself soaked dates for that touch of natural sweetness balanced by earthy glory. Here’s how to have them ready to go for whenever your smoothies, recipes, or your palate calls for them! You will LOVE getting Date-d… I promise!